or from your local bookstore! 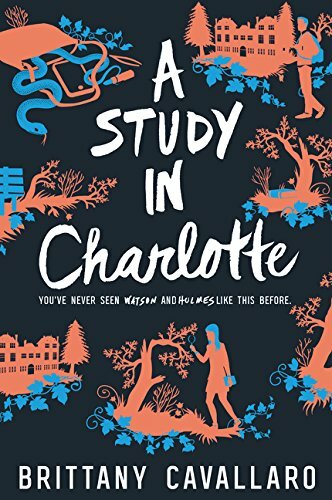 The first book in a witty, suspenseful new trilogy about a brilliant new crime-solving duo: the teen descendants of Sherlock Holmes and John Watson. This clever page-turner will appeal to fans of Maureen Johnson and Ally Carter. Foreign rights for A STUDY IN CHARLOTTE and two sequels have been sold to Rocco, for publication in Brazil in Portuguese, to DTV for publication in Germany, to Take Shobo for publication in Japan, and to Pocket Jeunesse for publication in France. Rights to the first book have sold to Faces in Taiwan.